Eddie Jones’ side halted a six-match winless run with their victory in Cape Town and despite losing the series 2-1, May feels as though England can now push on after a difficult period. “We didn’t feel like South Africa were better than us, they are a good team, but we never felt like winning wasn’t something we could do. Winning the last game of the season is always a great feeling. May’s performances were certainly one of the highlights of the tour for England and the Leicester Tigers man scored his third try in three games on Saturday after latching on to Danny Cipriani’s kick. Eddie Jones also echoed May’s thoughts by stating that England are in a stronger position after their victory and he put that down to the impact of his senior players. Speaking to BBC Sport, the England boss said: "They were some of our best players and in the previous games they've been at fault at times. "I think it's [the tour] actually put us in a stronger position. It's been an absolutely important part to renew the side. Jones also handed Danny Cipriani his first England start for 10 years on the international stage and the Gloucester fly-half didn’t disappoint as his vision enabled May to claim an important score to help England secure their first ever victory in Cape Town. Jones added: “May has had an exceptional tour. He's proved himself a really top-class winger. Scored three tries and probably had a hand in three others. 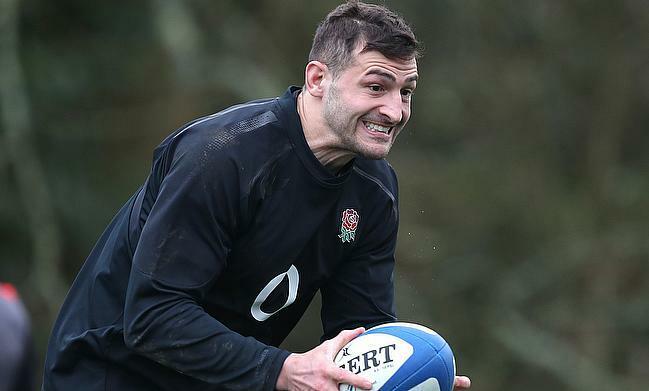 "We mentioned Cipriani might have the ability to take the opportunity, which he did. He saw the space, put a well-weighted kick in and the chase was fantastic."